Club Penguin Cheats by Mimo777 Club Penguin Cheats by Mimo777: Free 6 Month Club Penguin Membership Give Away TODAY! 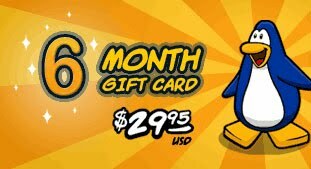 Free 6 Month Club Penguin Membership Give Away TODAY! SUNDAY - TODAY - SUNDAY - TODAY - SUNDAY - TODAY - SUNDAY - TODAY! Q. But Mimo how do I win it? A. Come to my Weboaaurs party tomorrow and I will pick one winner! AND the party will be a Mimo scavenger hunt party! Member Mimo scavenger hunt item! The scavenger hunt will start at 11:30 WST on Sunday. All the questions of the hunt will be Mimo trivia questions with the last egg ending up at the party location. The hunt will start out in the Gushing Geyser as usual so get there early so you aren’t late to the party! START at GUSHING GEYSER TO BEGIN THE SCAVENGER HUNT! This looks like an awesome hunt! I'm sure joining webosaurs today so I don't miss the hunt! wow y a club penguin membership on webosaurs? lol! Cool! :D I can't wait, those mimo items look cool! Aww I don't have a webosaurs...But I already have a membership til January, so I think I'm good. Good luck to everyone! I'm pretty sure it's on Webosaurs because Mimo didn't mention anything about going on Club Penguin. I think you have to be on Webosaurs...there is a scavenger hunt on Webosaurs, and--I don't know--I think once you find all the items, Mimo will give you a chance. (Idk...I don't have a Webosaurs) Hope this helps! Wow! I really want a 6 month membership. You're awesome mimo! There is only a scavenger hunt on Webosaurs, but Mimo is giving away both Club Penguin and Webosaurs memberships. That sounds like a good idea. Then when none of you CP friends are on, or you just get bored, you can get on Webosaurs. Hope you get better soon! Well, what I got out of it, is that Mimo, is giving away both on Webosaurs. Not sure why he's doing both on Webosaurs. How long does it take to become a CPg MOD? Great job modding, and I hope to see your comments! ...Random! (Perry the Platypus rox) So does Pinky the dog, Isabella's doggie, lolz! Why are so many CPG MODs quitting? Mimo, make them stay plz? And are you gonna do an overhaul again anytime soon? sarahbara05 said... How do you exactly get the membership? Ok...All you have to do is go to Mimo's Webosaurus Party which is tomorrow! If Mimo thinks your cool and a good friend he will choose you! To people in Australia - It will be Monday 5am for us! Mimo only updates the Mod list every once in a while. Mimo just updated it a few weeks ago, so you will probably have a wait 'til December. If he doesn't premote you then, just keep trying! Random thought, you should be able to buy membership on cp with your online coins, like 1,000 coins a month. Wouldn't that be great? I mean, then for people whose parents won't buy or can't buy membership. 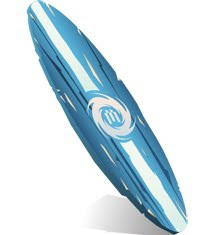 And, if you were a member , but arent anymore, you should be able to keep your igloo the same and change it, and use your clothes, but not be able to buy more stuff, and not go to the member parties, but thats where m coin idea comes in. Well there's no period of time to become a CPG MOD. It depends on how hard you work. Good luck becoming one! Mimo does CPG MOD change every month at the beginning or the middle of the month. The next Update will probably be either in the middle or beginning of December. What about the Club Penguin one? I think he is giving the both out on Webosaurs. Good luck to everyone tomorrow at the Webosaurs Scavenger Hunt! And Congrats to the future winner of the membership! If you are a good Mod and he thinks your ready then once in a while he adds more Mods to the list. The CPG Mods are making a choice, it is up to them if they want to quit or not. You Cant make them stay. And he will probably do it only once in a while. I kinda wish Mimo would give the memberships seperate. Like he has a party on clubpenguin and gives the clubpenguin membership away then. And a webosaurs membership away at a webosaurs party. Great idea! And instead of getting a membership for Christmas or my b-day...soon!...we can buy it online! Do you not have a membership or something...? 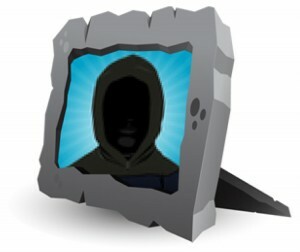 What do we do to get the club penguin membership?...do we get on the webosaurs site to get it? This is so awesome!!! My birthday is TOMORROW.The same day the scavengery will start.I will totally be there!!! Awesome im gonna be there! My Webosaurs name is "something"
I already have a club penguin membership but a webosaurs membership would be awesome! Oh Yeah Mimo my Webosaus username is "Something" lol. The Hunt is gonna be awesome! when will the pictures from the club penguin winter party be on the site. Cant wait to see them! Probably because alot of the guys that play webosaurs play cp too. All you have to do is go to his webosaurs party and mimo will pick one winner. Hope this helped! That will be given away with the webosaurs membership at the webosaurs party.Hope this helped! It depends on how much you mod but it should take between 2-3 months. Well being a mod is alot more work than it looks like and mimo cant make them stay. Thee should be another mod overhaul in about a month but mimo will be the one to decide.Hope this helped! Hey Mimo what if someone's dinosaur soesn't have the same name as their penguin? so what time does the party start in central time (US and Canada)??? if you already have e membership can you still get a six month one to extend it? awww! too bad i dont have a webosaurs account! boo hoo me! im sad now... oh well! i hope u hae more cp parties! im gonna do some modding now! I'm going to be at church. God's still more important to me even if i could get a 6-month membership. I'm really sorry and i hope you all have tons of fun! It is december... well almost december like 2 days. Depends on the amount of questions you answer. If you keep on trying and answering a lot and a bunch of questions, mimo is sure to notice you. Well, they are either too busy or are getting too old. Not like elders but teens. Sorry but Mimo can't force anyone to stay. well another person retiring from modding lol mimo added you yet? And glad you are not gone forever! Never forget us and keep 'commenting', Z! Remember, we WON'T forget you either! You are an awesome friend! Awhile, just work hard and do your best and U can do it! Sorry you're sick! Hope you get better! They may be busy or they are getting a little to old! NOT VERY OLD THOUGH! 1,000 is TO little! How bout: 1,000,000,000,000,000,000! What sever in Webosaurs r u in?? Thanks!! is WST webosaurs standard time? I need to know when the party starts! you know.. about the party poem thing it would be nice if you secretly told me when it is because im horrable at your party poem thing next time (If there is a next time) can you make it easyer but not like way way way way easy just a little bit cause' im not much of a genies but just a little easyer ok? mimo is it real time or webosaurs time? hey mimo what's the server??? Why arn't you here! everyon is waiting for you! Hey Mimo, there's new igloo music! I'm not sure if you've already posted this or not, becuz I haven't scrolled down. But, the new music is DJ Christmas, Twelfth Fish Theme, and Underwater. OOPS. I forgot to say Santa's Mix. It's also a new song. Whoops I ment to put (CPG Mod) after my name. Mimo! When you go to the underground room it says loading party 1_find! If i friend is there it says in the find box:Party 1_find too! Please give credit to Queen Binawa. at 12:30 in morning around lunch. hope u can come but if not i understand u dont come to ppls partys if they ask u. anyway bye hope i c some ppl there. I can't make it mimo sorry! ~~~~~~~~~~~~~~~~~~~~~~~~~~~~~~~~~~~ All you have to do is be on webosaurs to have a chance to win a membership. You dont haave to be on this site or cp. Metalp10 Cp mod in training. Hi mimo thanks for 1000 webosaurs coins ! Thank you very much! I couldn't get to the big party but I could get the item. Mimo just a winter party but that wasn't how you get the membership. But yes I do think you had to be in the webosaurs party to get either of the partys. You should get a webosaurs account. It's free and fun. To bad they gave the surfboard to everyone. I was looking forward to having the picture. Maybe I will see you on CP or webos. I feel like having Koala steak right now. They wouldn't make very much money that way because first off they pay the secret agents and tour guides 250 coins a month so that equals 500 coins then if you play aqua grabber twice you get like 700 coins. Cp doesn't give party's for penguins besides RH. Plus webos is a new site they need some publicity and if people join and like it then get memberships they can make more money. Plus Webos probably paid for both memberships. Same here. You can still get the item though. Not sure if he will. That is correct! Hope you made it to the party! mimo, i was there but i was there a few minutes before so you probably didnt see me! if you can, please sign me up! No there's only a party on webosaurs. Mimo will give both club penguin and webosaurs member ship. And you have to be on webosaurs. Or else how does mimo know you're there? I was there but i don't know if u added me to the list hers my webosaurs account name: chyneh hope u added me to the list! I hope i win memberships! omg that is so cool that u have a member giveaway! mimo where will u be in clubpenguin or u won t tell us. It's too bad I just missed it, and I don't have a webosaurs account. But, when's you next party? I'll join in!